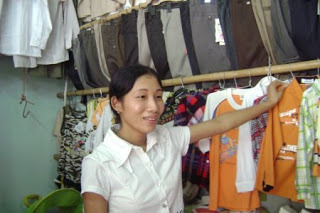 As many of you know, we are big supporters of Kiva, a non-profit organization that works with financial institutions around the world to set up microloans between people like us who want to lend and entrepreneurs in developing countries who need a loan to start, expand or continue their small businesses. Microloans are more than just charitable contributions — the small business owners get a capital investment that enables them to succeed in business and lift themselves out of poverty, which on a larger scale helps their communities to thrive and succeed. When the business owners pay back their loans, one option is to reinvest that money to help another business owner in another developing country. 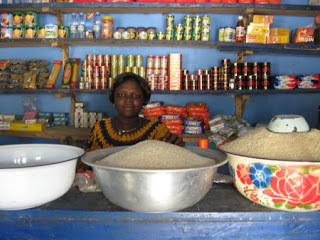 It used to be that Kiva would wait until a loan was completely repaid before releasing the funds. They now release the money whenever a payment is made, as the loan is being repaid. Since we’ve made more than one loan at a time, we’ve now received enough in partially repaid loan money to reinvest in two more business owners. This time, we’ve decided to participate in microloans to two entrepreneurs in Afghanistan who, with a lot of ambition, are working to improve their lives and the state of their communities for the better. One business owner, Rohullamen, 33, is married and supports his entire family (wife, parents and three siblings). He’s committed to growing the general store that he owns so that he can send his younger brothers and sister to school, where they can get an education and become successful, too. We appreciate that determination and bright, positive outlook on the future, especially given the fragile state of Afghanistan and since it wasn’t too long ago that Rohullamen’s sister would not be able to go to school at all because she’s a girl. Good luck to Rohullamen and our other small business owners!